After all, emarketer predicts that 81.5% of digital display spend will be programmatic next year. So, what is happening in the programmatic world that gives some such cause for optimism? To find out, I caught up with Joel Livesey, director of partnerships, EMEA at The Trade Desk. Ads.txt is a file hosted by publishers which publicly states who is authorised to sell their ad inventory. The ‘ads’ stands for authorized digital sellers. The Trade Desk is one of the demand-side platforms (DSPs) that is honouring the ads.txt file, as of November 15th this year. Ads.txt is part of supply path optimisation (SPO), “a big buzzword at a lot of conferences,” according to Livesey. The aim is to work with suppliers that have direct relationships with publishers and to avoid those who are adding little value to the supply path. As ads.txt penetration increases, Livesey expects “a contraction of the number of SSPs (supply-side platforms)”, i.e. a consolidation of inventory sources. Header bidding is difficult to get your head around, no pun intended. I once wrote an article about it when I was miffed (My nightmare trying to understand header bidding). But rather than understanding exactly how it works, let’s look at the benefits of header bidding. Intriguingly this also has implications for the creative side of programmatic. One of the creative possibilities that perhaps hasn’t been used as well as it should have been is storytelling through successive impressions using dynamic creative optimisation (DCO). Livesey explains, “So the first time somebody sees an ad they’ll see one ad, the second and third ad will be slightly different. It’s always been feasible but because programmatic itself was a small chunk of the impressions you saw on a publisher it wasn’t always possible. Livesey that contends that header bidding on the whole has led to clients investing more in programmatic and taking a more hands on approach. Whilst we’re on the topic of storytelling, it’s worthwhile touching on personalisation in advertising. Some of the excitement about programmatic in years gone by has been about personalisation, but this has often stemmed from a fetishisation of the technology i.e. doing something with ad creative because it was possible, not because it might be effective. The apotheosis of this was Axe’s Romeo Reboot campaign which used 100,000 possible versions of a movie, with a consumer’s particular interests dictating which creative they would see. Though this campaign raised a lot of eyebrows, the feeling now seems to be that traditional advertising acumen and common-sense has to be applied, too. Livesey says “you don’t want to be too personal, there’s an inefficiency involved – if you’re selling shampoo or trainers, being too personal is a waste of your time, because everyone has hair or lives with someone who has hair. Right now, the vast majority of programmatic is traded in a second price auction. This is the same principle that applies to an eBay auction – the winning bidder will pay the second-highest bid price. But SSPs don’t always let ad buyers know what type of auction they are participating in, which means thpse ad buyers can be squeezed for money if they think they’re in a second price auction but aren’t. Some SSPs are changing their practices on this front, and first price auctions are being seen more often, which Livesey argues is “going to be a really good thing”. Though some contend that first price auctions will lead successful bidders to lower their bids next time out, and perhaps remnant inventory will be harder to shift for publishers, there are big up sides, too. Chiefly, Livesey hopes “it means we’ll see fair pricing come in. For agencies, they’ll be able to pay the price they want to for that inventory, as long as they can get it for that price, it means we’re hitting a mature stage, and equal power in how we’re negotiating and paying rates. “I don’t think it’s a crazy idea for people to get their heads round. When I go shopping, I pay first price, so it’s not going to be a revolution. If you have premium inventory, you’re going to be able to start pricing it in the way that’s right for that inventory. “To begin with there’ll be a bit of a supply and demand variation – I’m sure some publishers will come in at £10 [for example] when the market rate is £7 or £8, and they’ll have to start lowering their rate, because they’ll see demand go down. Or they’ll come in at £3 when they should be £7 or £8, and they’ll be able to start pushing their price up slowly. This is the key point, DSPs will start to account for the market value of inventory in order to successfully bid at the right price, though only if SSPs all begin to clean up their act. “Cross-device solutions are becoming more widely used by our agencies mandated by end client themselves,” says Livesey. “People are using cross-device to join all their different media channels together, as they want to see what impact they have on each other. Whereas before you might have used some sort of econometric modelling, now you can directly track the impact of one medium on the other. And it’s growing in terms of adoption,” he adds. This cross-device measurement is enabled either by deterministic matching (e.g. via Facebook logins from different devices) or by probabilistic matching, a less accurate but sophisticated method which analyses many data points in order to make a good guess that two devices are used by the same person. Livesey also makes the important point that “more and more channels are open to programmatic. 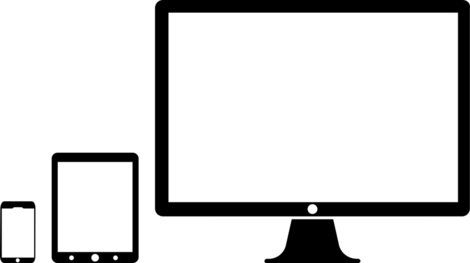 Audio, web, mobile app, mobile web, connected TV. So you can tell a story on all of those platforms. You can see them on Spotify and then retarget them on TV, for example. The Trade Desk has partnered with White Ops to scan every biddable ad impression in real-time, using servers and data centers in North America, Europe and Asia. When a non-human impression or ‘sophisticated invalid traffic (SIVT)’, is identified by White Ops, The Trade Desk will block that impression from serving. The intent is this technology will be applied to every impression The Trade Desk bids on that runs through White Ops, on a global basis. Admittedly, bid factors are a specific feature of The Trade Desk’s platform, but as I’ve been talking to Joel Livesey, it seems only fair to mention them. Bid factors allow an advertiser to multiply a base bid by a certain percentage in order to increase win rates. These factors can be related to audience, inventory type, time etc. As clients because spend a higher percentage of their online ad budgets on programmatic, they’re pushing for transparency. Both client and publisher want to know where every dollar is going. “It’s the next big push,” says Livesey. Ads.txt, White Ops, the declaring of first and second price auctions mid-stream – all of these factors increase transparency and build towards a future where advertisers can see what every player is adding to what they’re buying. “It’s about a focus on value rather than price” says Livesey. “Clients are getting more involved with programmatic… and knowledge is becoming normal.” Of course this is vital if brands are to understand white lists, ad formats, bidding strategy, fraud, cross-device and attribution.